These tiny little light-up NFC stickers are mounted on siliconized 3M adhesive backing. They are small and flexible enough to fit on and wrap around a fingernail! 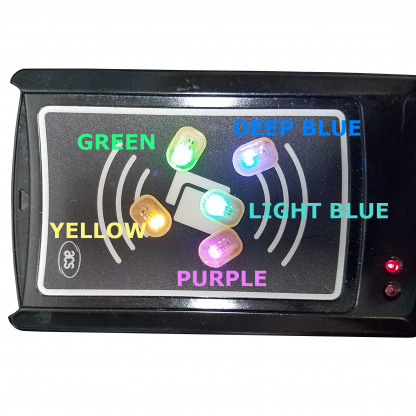 When presented to contactless payment terminals, NFC smartphones, RFID card door locks, etc. the LED lights up! Sold in packs of 5.